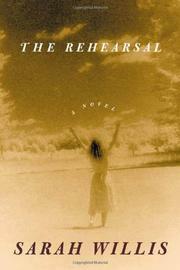 A disappointing second novel from the award-winning author of Some Things That Stay (not reviewed) focuses on a group of actors gathered for a 1971 provincial theater production. Director Will Bartlett, nearly 60 and obsessed with saving his small resident theater company from Broadway incursion, has the brilliant idea of bringing his cast to his midwestern farm for a month in early summer, during which they will live the characters they’ll play in Steinbeck’s Of Mice and Men. Will's lonely wife, Myra, a former actress and singer who froze up one opening night and never performed again, is none too pleased to have her sanctuary and sanity invaded. Meanwhile, their resentful 16-year-old daughter Beth, who listens to Led Zeppelin and experiments with drugs, wants desperately to get a part in the production. So when the lone actress doesn’t show up and Will asks Myra to play the only female role, Beth smolders, vowing to get even with her mother. Willis recounts her summer-stock tale almost matter-of-factly, employing narrators ranging from the self-searching Myra to the production’s least significant actor. And blocks of declarative sentences do nothing to speed the slow, methodical action. Willis lacks the ironic take on the ’70s that animated Rick Moody’s The Ice Storm (1994), and her terminally low-key prose offers nothing as an alternative. Not even attempts to introduce dramatic tension in the form of flirtations and electrical storms can animate these characters: too many tertiary actors diffuse the energy. Will, a blustery though wounded dictator, father, and husband, fails to intimidate us. With his weaknesses constantly underscored by his wife and daughter, it’s hardly a surprise when the cast ultimately packs up. A performance curiously devoid of sound and fury.